72 years ago tonight TWA Flight 3 crashed into a mountain outside Las Vegas, Nevada, killing all 22 people on board. The most famous passenger to die in that tragic crash of January 16, 1942, was the enormously popular actress Carole Lombard. Lombard, who was married to the "King" of Hollywood, Clark Gable, was returning home from a hugely successful trip to sell war bonds and stamps, just weeks after Pearl Harbor. The death of the glamorous, effervescent star shocked Hollywood and the nation. I've had a particular affinity for Lombard since discovering childhood photos of her at the Kimberly Crest estate in Redlands, California, an experience I wrote about here. 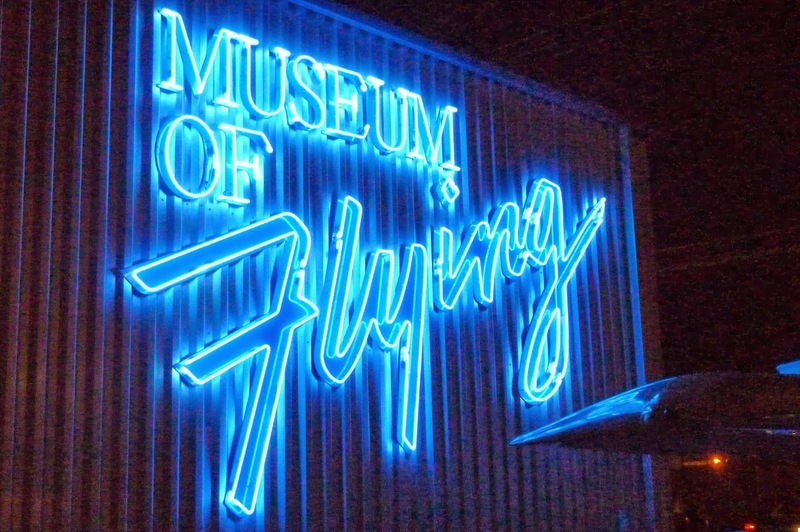 When I heard that Robert Matzen, author of the new book FIREBALL: CAROLE LOMBARD AND THE MYSTERY OF FLIGHT 3, would be speaking this evening at the Museum of Flying in Santa Monica, I decided to make it a point to attend. Tonight's lecture and book signing marked the book's official launch. The intersection of Hollywood, aviation, and WWII history make TWA Flight 3 a particularly compelling story. The DC-3 which crashed, as a matter of fact, had been built right across the street from the museum. 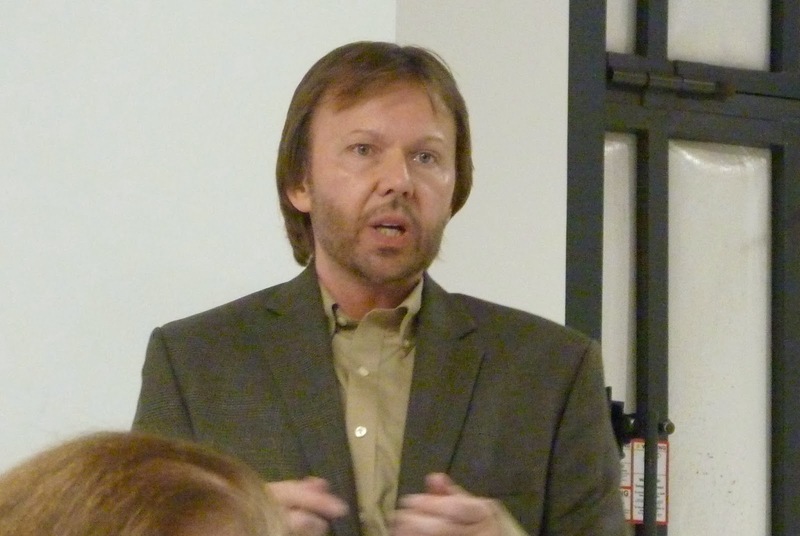 Matzen was an excellent speaker, and the depth of his research became apparent as he spoke. He investigated Flight 3 in every detail, including combing through TWA and House investigation records. He even tracked down a 94-year-old survivor who had been bumped off the flight during a stopover in Albuquerque. He also climbed to the crash site, where some of the wreckage sits to this day. It's a very sad yet tremendously interesting topic, and Matzen has many fascinating stories to tell regarding not only Lombard, but all of those involved. It was particularly touching hearing of the impact of his wife's loss on Clark Gable, molded by the tragedy into an increasingly compassionate and thoughtful man. His kindness to paralyzed actress Susan Peters is just one of the stories shared in the book. FIREBALL is 368 pages, including the index. It's a heavy book printed on quality paper, with pages of glossy photos, published by GoodKnight Books. A "trailer" about the book is on YouTube. Having heard Matzen's talk and taken a little time to page through the book, I'm very much looking forward to reading it. 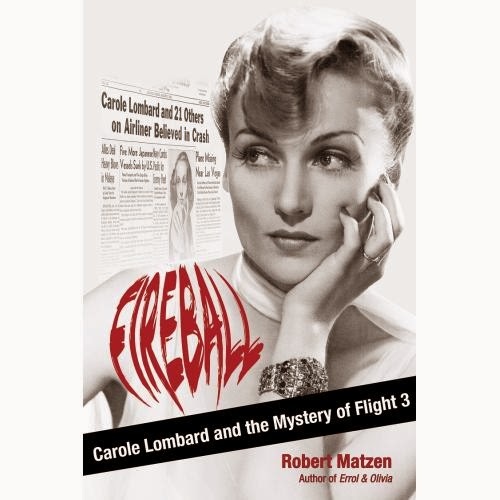 Carole & Co. posted a Q&A with Robert Matzen which was provided by the book's publisher. Mr. Matzen will be speaking again at Larry Edmunds Bookshop this Saturday, January 18th, at 4:00 p.m. I'm glad you were able to attend this event. Thanks for telling us about it. The book sounds really interesting and well-researched, if terribly sad. I'll have to check it out. This still resonates. Like Cinderella in reverse. No Happily Ever After. Sounds a really interesting book. Thanks for sharing. Van Johnson was up here, in Canada making a picture, and he commented on a variety of topics including Clark Gable. Van thought that Gable was a perfectly nice guy but that the war had done something to him, so that he was no longer as warm and accessible as he had been. That may very well have been true but Clark Gable saw Carole Lombard decapitated, and that isn't like anything else for a man to see. It is perfectly reasonable to believe that war can have a chilling effect on its participants, but Gable's war began with his wife's death. At least, how I see it. Barrylane, your statement that Gable saw his wife's body after death is completely inaccurate. When he went to purchase the caskets, he was offered the opportunity to "spend some time with your wife." The book is remarkable, by the way. Thank you. I hope that you are correct. I have confirmed the inaccuracy of my prior statement, I do not however believe it negates the essence of my musings that Gable was affected in a permanent manner by the death of his wife. I have personally experienced something similar and there is no going back from either the grieving process or the event itself. No one is ever the same.